Brian commenced his professional career in Banking, working for two major Maltese banks, Bank of Valletta and APS Bank where he specialised in Corporate Lending. He later joined Erste Bank Malta, a subsidiary of the Erste Bank Group of Austria, where he was responsible for Trading Services and Back Office Operations of the Bank and its subsidiaries in Malta and Overseas. In 2005 he established his own firm, where he practised under the trade name; InterLink Corporate. Following a merger that took place in 2009 the Company was restructured and later in 2011 Quantum Group was established. Brian is both a Shareholder and Director of The Quantum Group. Quantum Group is made up of two Independent Business Units, Quantum Corporate Services Limited and ARX Trustees Limited (licensed Service Provider). ARX Trustees Limited is authorised in terms of article 43 of the Trust and Trustees Act to receive property under Trust by the Malta Financial Services Authority and also to act as an intermediary in accordance with the Individual Investor Programme of the Republic of Malta Regulations (S.L. 188.03). Brian’s professional experience led him to lecture for a period of time in banking and finance at the Malta International Training Centre both in Malta and overseas. Brian holds a number of Directorship posts and is also a Governor on the Board of Governors of Malta College of Arts, Science and Technology (MCAST). He is an Associate of the Chartered Institute of Bankers, and is certified to act as a Trustee and also holds a Financial Management Diploma from the University of Maastricht. Today, more than 25 credit institutions have a presence in Malta, offering a full set of banking services that range from retail and investment banking to trade finance and custody services. Bank of Valletta (BOV) and HSBC are the largest players in the local retail sector. The largest international banks are subsidiaries of Turkey’s Akbank and Garanti Bank. Other major players include: BAWAG, CommBank, Deutsche Bank and IIG Bank. 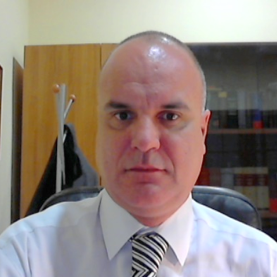 Dr. Carlo Vigna obtained a Magister Juris in European and Comparative Law from The University of Malta in 2006 following his graduation as a Doctor of Laws from the same University in 1997. To broaden his professional skills Carlo also obtained a certificate in Trust Law and Administration from the Institute of Financial Service Practitioners in 2004. Joined Quantum Group as a partner in 2013 and is also a director of ARX Trustees Limited within same group. 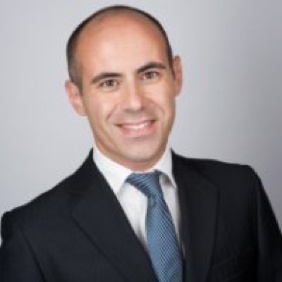 Carlo is responsible for the Legal Department with the Group and also heads the Group’s corporate services. He is a member of the Institute of Financial Service Practitioners and also of The Chamber of Advocates. He is a director and board secretary on a number of companies. Malta is being used as a platform for M&A transactions. The island is perceived as a prime jurisdiction for this kind of work due to its corporate law and regulatory environment. Malta’s network of 70 double taxation treaties further strengthens its position as a key corporate location. Thus far, the majority of transactions coming through Malta are predominantly European, but there is increased interest from outside the EU, including America and Asia. Dr. Fiott graduated in Doctor of Laws from The University of Malta in 2001. His first professional experience was with PWC where he was a Senior Associate on Tax and Legal Services. In 2009 he joined forces with well-known Tax Specialist Dr Anton Fiott to form Fiott Advocates. Eventually Fiott Advocates amalgamated with another two established lawyers to set up Fenech Farrugia Fiott Legal. 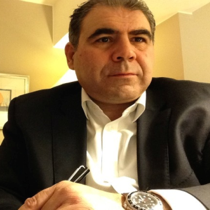 In 2014 he joined Quantum Group as a partner and director; he also acts as a consultant for other Group companies amongst which ARX Trustees Ltd. He is a member of The Chamber of Advocate and also acts as a director and board secretary on a number of companies. Malta offers a highly efficient fiscal regime which avoids double taxation on taxed company profits distributed as dividends. Malta’s tax system has been deemed by the European Commission to be compliant with EU nondiscrimination principles and has also gained approval from the OECD. Individuals are charged on their income at progressive tax rates up to a maximum of 35 per cent (for income over €60,000). The top rate of income tax for those who earn less than €60,001 is 25 per cent.